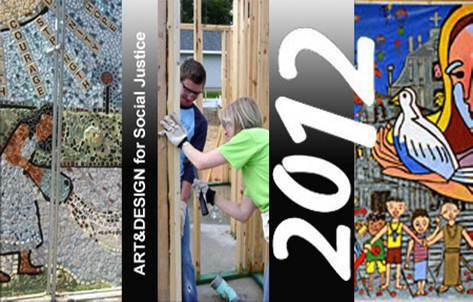 The 2012 ART&DESIGN for Social Justice Symposium focuses on how the tools and inherent abilities within the areas of art and design can be utilized in addressing issues confronting less advantaged groups within our local communities, states, regions or world. The event is designed to generate synergy, spawn collaborative projects among participants, create new scholarly initiatives, and allow examination of the role that art and design play in the telling of a broader social narrative. The Sixth Annual ART&DESIGN for Social Justice Symposium will be held on the campus of Florida State University. The Symposium on Monday, January 16, 2012 will include a continental breakfast, dance performance and keynote address, followed by presentations/posters/panels (with participants from 5 different states), luncheon, and music performance (8:00 am – 4:30 pm). The keynote speaker this year is Stewart Ramsey from Krochet Kids, International … “Hats really can change the world!”. The registration fee is $50 for faculty and adult community members and $15 for students. Registration fees cover morning coffee, break refreshments and a luncheon. All participants and presenters must be registered. The online registration form and other information are found on the Symposium website (http://socialjusticesymposium.fsu.edu). Registration deadline is Friday, January 13th. Visual Arts, Theatre & Dance faculty and graduate students are particularly encouraged to participate. As the Symposium date (Martin Luther King, Jr Holiday) is a school holiday, undergraduate students also may find this event of interest. Please forward this email to those who you think might have interest or benefit by participation. The ART&DESIGN for Social Justice Symposium is sponsored by the Department of Interior Architecture + Design and the Department of Art Education, and underwritten by the College of Fine Arts of Florida State University. This symposium is an annual, national event.